I am posting my next card which I will be entering in the challenge for Craft you Passion Kids Challenge! 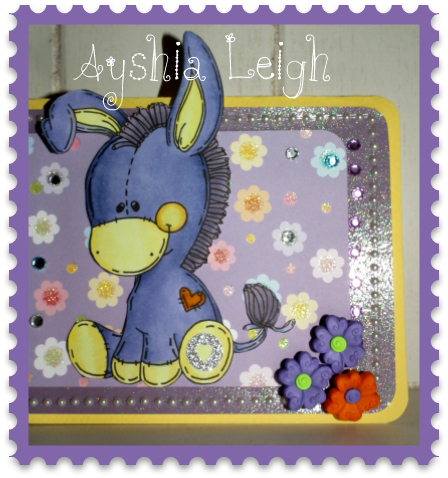 I have coloured my stamp from Meljen's Designs with Copic Markers. And I have mounted my image on glitter flower paper from DCWV. Around the outside of my card I have decorated it with gems. I have also placed gems on the flower centres and used flower buttons in the corner of my card. 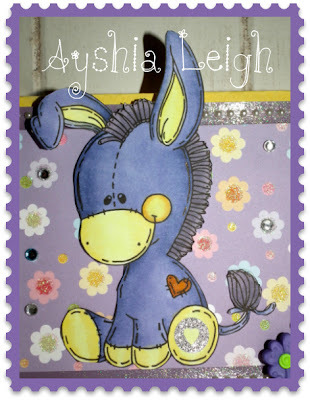 Your card is adorable Ayshia!! Thank you for joining us this month for "Buttons and Bling" at Craft Your Passion Kids Crafts!! thanks so much. I really love your challenges they are so much fun.